An all female mariachi Las Coronelas of San Antonio entertain the crowd during Pride in the Park on Saturday, June 23, 2018 in McAllen. 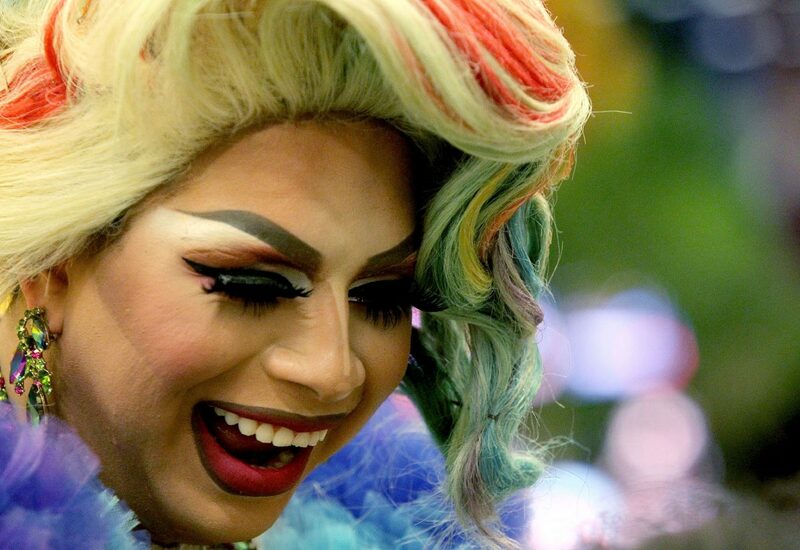 McALLEN — A drag queen hosting story time for a group of children. 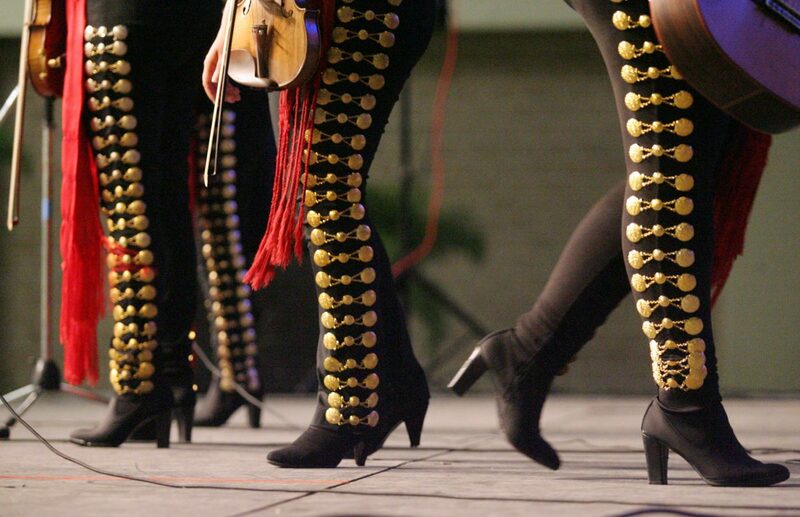 A group of friends dancing to the all-female mariachi band Las Coronelas. A grandmother pushing a stroller with a young girl wearing a rainbow tutu. These were just some of the sights at Pride in the Park, the fifth annual celebration of the LGBT community in the Rio Grande Valley. 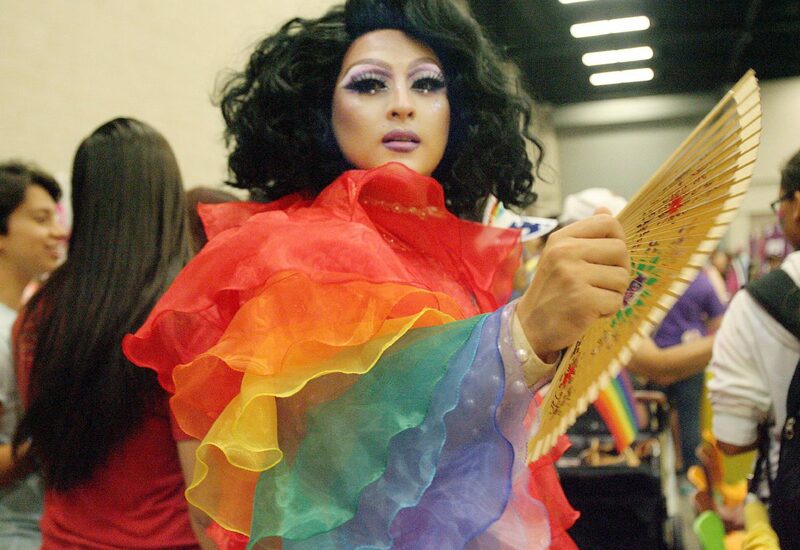 It was hosted by the Valley AIDS Council (VAC) and the South Texas Equality Project (STEP) on Saturday afternoon at the McAllen Convention Center. This year’s theme was Pride=Power. A major goal of the event was to promote the importance of being politically active, which was encouraged through a voter registration table at the event. 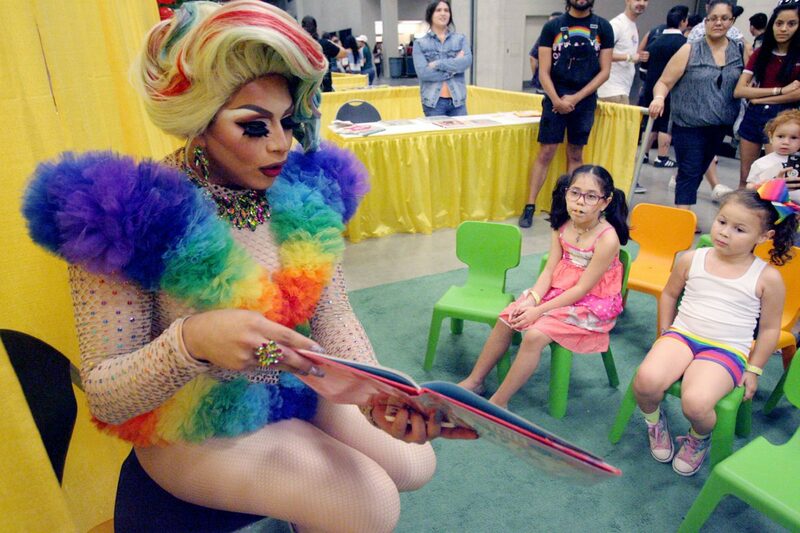 Edra Valencia,22, of Edinburg reads to children during Drag Out HIV! Drag Queen Hour reading at Pride in the Park on Saturday, June 23, 2018 in McAllen. Katelynn York during "loteria" game at Pride in the Park at the McAllen Convention Center on Saturday, June 23, 2018 in McAllen. Esmeralda Escalante wears a tee shirt with her sons photo Frank Escalante, on of the Orlando Terror Attack Pulse Night Club victim during Pride in the Park on Saturday, June 23, 2018 in McAllen. Luna La Strange fans herself during Pride in the Park at the McAllen Convention Center on Saturday, June 23, 2018 in McAllen. “Latinos have to stop being the silent giant,” Lopez said. Aileen Garza, the youth organizer for Planned Parenthood Texas Votes, said her organization got involved to help “fight injustices” and offer health services to the LGBT community. “One of the greatest ways to support marginalized communities is to vote,” Garza said. 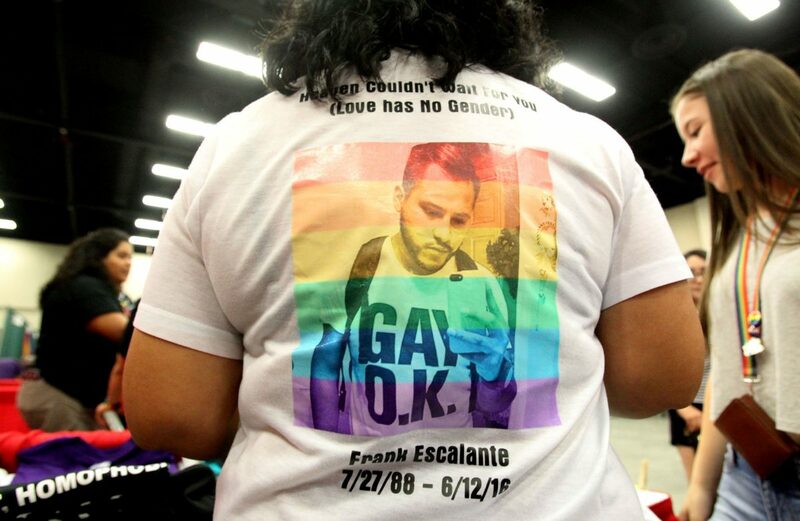 Among the exhibitors were the LGBT care coordinator for the Department of Veteran Affairs in the Valley, the family of Frank Escalante, a Weslaco native killed in the 2016 Pulse nightclub shooting, and local vendors. Staff of the 2018 Senate campaign for Rep. Beto O’Rourke, who is running for against incumbent Sen. Ted Cruz, was present as well. Toward the end of the event, civil rights activist Dolores Huerta spoke about the importance of activism. Afterward was a drag show with local drag queens and former “RuPaul’s Drag Race” contestant Mariah Paris Balenciaga. Lopez said this year there were 80 exhibitors compared to last year’s 20, and while last year’s event capped at 5,000 people, this year the event reached that amount about halfway through. Attendees could participate in workshops on LGBT topics, visit a room with displays about the Valley’s queer history, or join La Frontera Queer Film Festival. At the entrance stood six doors, each one a different color, with the words “God’s doors are open to all.” The display came from Mount Calvary Christian Church, a nondenominational church established in Harlingen 18 years ago specifically for LGBT Christians. Representatives of the church said many people in the queer community feel like they have “nowhere to go,” which is why Mount Calvary and Pride in the Park are so important. Lopez noticed how young most of the attendees were, which he said indicates how many young Latinos in the Valley fall on the LGBT spectrum. The most important thing they can take away from the event, he said, is to know they are not alone.